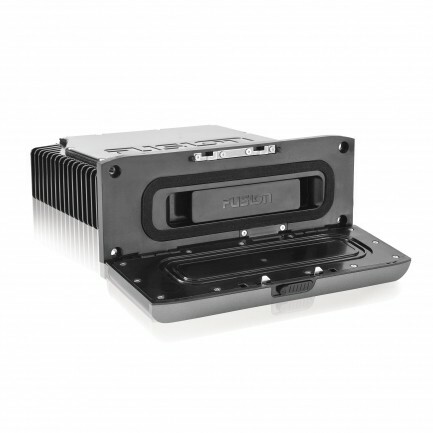 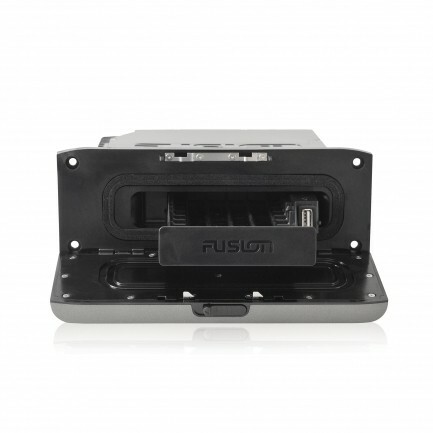 Introducing the FUSION MS-UD650 Entertainment System with an internal, water resistant UNI-Dock for safe charging and playback of the latest Apple iOS and MTP Android/Windows media devices. 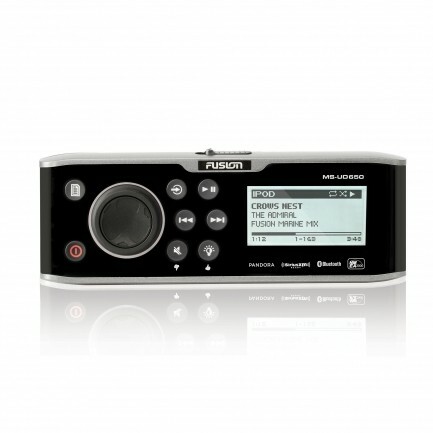 Bluetooth A2DP audio streaming capabilities and FUSION-Link NMEA 2000 connectivity make the 650 series an all-in-one and purpose-built solution for entertaining on the high seas. 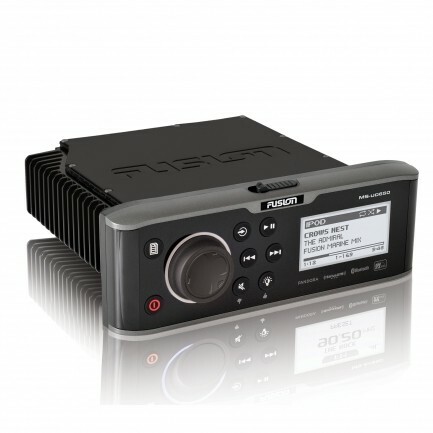 FUSION-Link Control (Wireless) – Download the FREE Apple or Android FUSION-Link remote control app from iTunes™ or Google Play™ to control the on-board entertainment experience via Bluetooth.